Allianz launches an index variable annuity, while Scottrade adds portfolio-rebalancing tool. New products and changes introduced over the last week include Allianz Life of New York’s launching of an index variable annuity and American Century Investments’ rollout of three fixed-income funds. In addition, ASI has introduced a portfolio rebalancing solution to Scottrade Advisor Services; Russell updated an economic indicators dashboard; and FeeX announced the latest expansion of its fee-finding tools. American Century Investments has launched three fixed-income funds: American Century Emerging Markets Debt, American Century Strategic Income and American Century Short Duration Strategic Income. Emerging Markets Debt is managed by senior portfolio managers Marge’ Karner, John Lovito, Brian Howell and Kevin Akioka. Strategic Income and Short Duration Strategic Income are managed by senior portfolio managers Akioka, Jeffrey Houston, Robert Gahagan, Howell and Karner. Emerging Markets Debt is a total return fund whose investment strategy is to incorporate emerging markets debt with a global currency overlay. The team will invest at least 80% of the portfolio in fixed income and floating rate securities that are economically tied to emerging market countries’ markets. The fund’s benchmark is the JP Morgan CEMBI Broad Diversified Index. Strategic Income is an income fund whose investment strategy employs tactical sector management. The investment team uses an opportunistic sector approach and an income-focused investment process that offers broad multisector exposure within its securities. The fund has a 50% maximum single sector exposure limit. Duration will be within two years of the fund’s benchmark, which is the Barclays U.S. Aggregate Bond Index. Short Duration Strategic Income is an income fund whose investment strategy employs tactical sector management. The investment team uses an opportunistic sector approach and an income-focused investment process that offers clients broad multi-sector exposure. The fund has a 50% maximum single sector exposure limit. Its shorter duration may help mitigate interest rate risk. Duration will be within two years of the fund’s benchmark, which is the Barclays U.S. Government/Credit 1–3 Year Index. Allianz Life Insurance Company of New York announced the launch of the Allianz Index Advantage New York Variable Annuity, an index variable annuity (IVA) that combines traditional variable options with an index strategy. 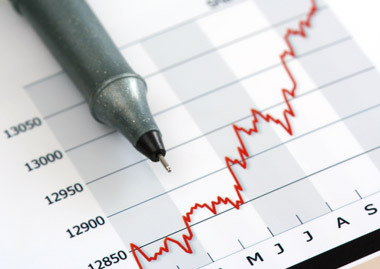 A key feature of the IVA is the index performance strategy. This crediting method offers customers a level of asset protection for the principal investment while maintaining the potential for higher performance. The index performance strategy also gives accumulation-focused customers the flexibility to pursue the accumulation strategy that best suits them each year whether there is positive or negative performance. DSM Capital Partners LLC, a global investment management firm with $5.6 billion in AUM, has launched a SICAV Global Growth Fund for overseas investors, designed to mirror its Global Growth Strategy. The fund had more than $600 million in assets at the end of second-quarter 2014. The fund is managed by Co-Managing Partner Daniel Strickberger and a team of nine senior analyst/portfolio managers. Scottrade Advisor Services has added Advisor Software’s ASI Portfolio Rebalancing Solution to its custodial platform. The program’s rules-based workflow allows advisors to rebalance single and multiple accounts, as well as entire households, across security types by setting constraints at both the firm and individual account levels. Advisors can also receive customized reports comparing pre- and post-rebalanced accounts after each rebalancing session. Russell has announced changes to its economic indicators dashboard to reflect changes in the U.S. economy. FeeX, a service that finds and reduces hidden fees within investment accounts, has announced that it now finds fees in IRAs and all 401(k), 403(b), 457, brokerage and similar investment accounts. Read the July 25 Portfolio Products Roundup at ThinkAdvisor.